“I love Japan. We’ve always had such a great time there and the audiences are just incredible. We can’t wait to get back. It’s always fun to visit new places too and helps to keep things fresh and exciting. NEW ALBUM EGYPT STATION OUT NOW! 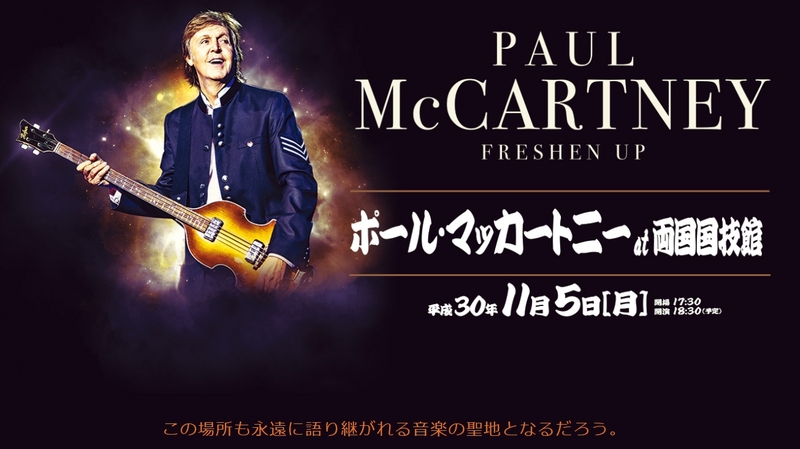 The PaulMcCartney.com presale will take place on Tuesday 9th October at 9am local time. More info coming soon…. TICKETS ON SALE TO THE PUBLIC FRIDAY 12TH OCTOBER AT 10am LOCAL TIME. 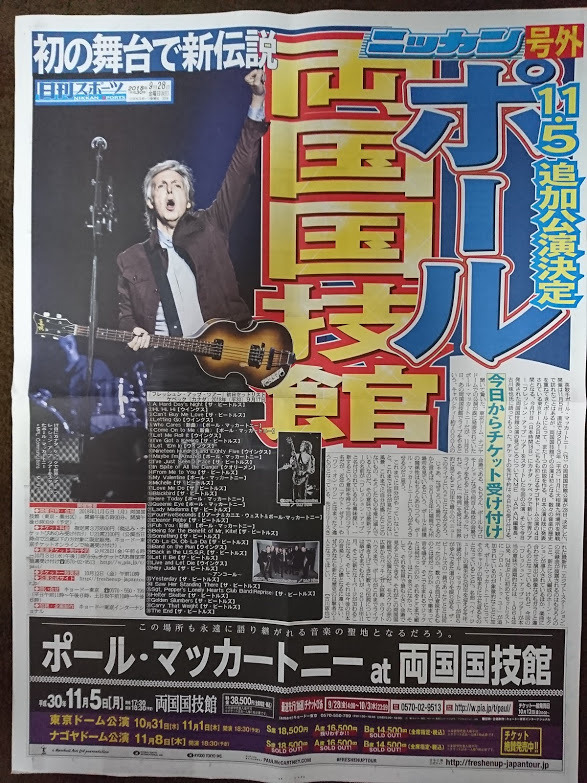 Today, 28th September, Paul announces his most intimate Japanese concert ever at the historic Ryogoku Kokugikan. 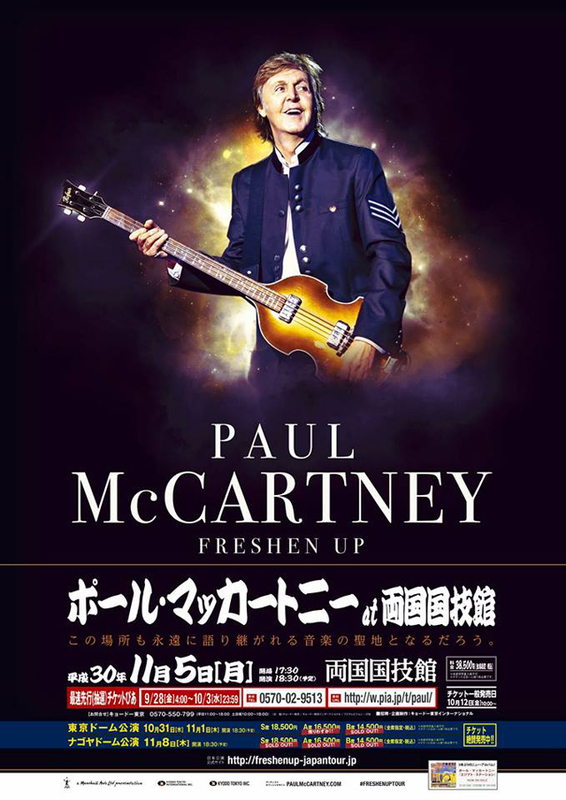 This concert will take place when Paul brings his new ‘Freshen Up’ tour to Japan at the end of October for two shows at the Tokyo Dome as well as visiting the city of Nagoya for the first time for a show at the Nagoya Dome. 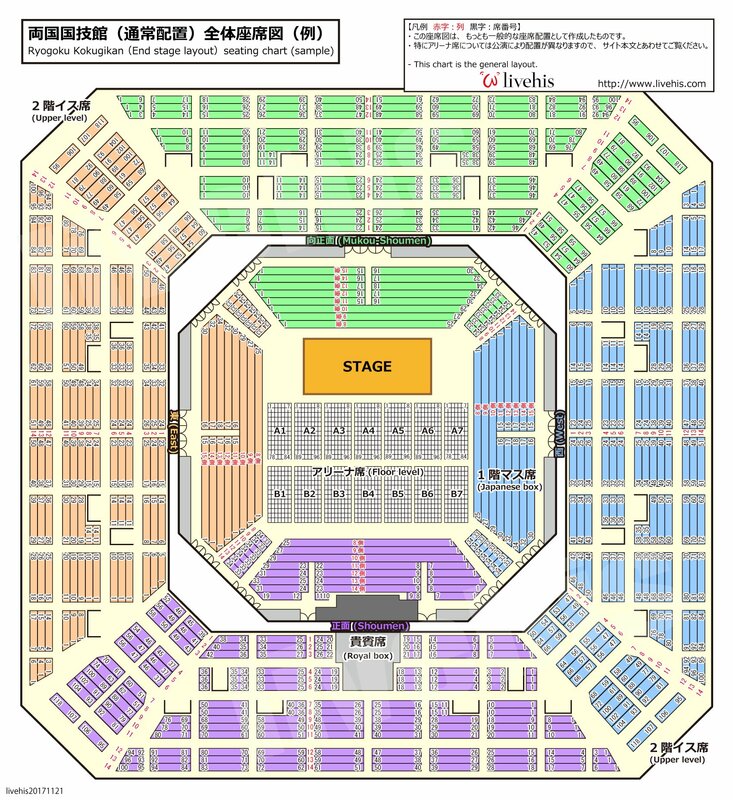 With a capacity of 7000, this venue is a fitting choice for Paul as he has long been a fan of sumo wrestling. On previous tours Paul has made time to watch the wrestling and often commented on how much he likes it. 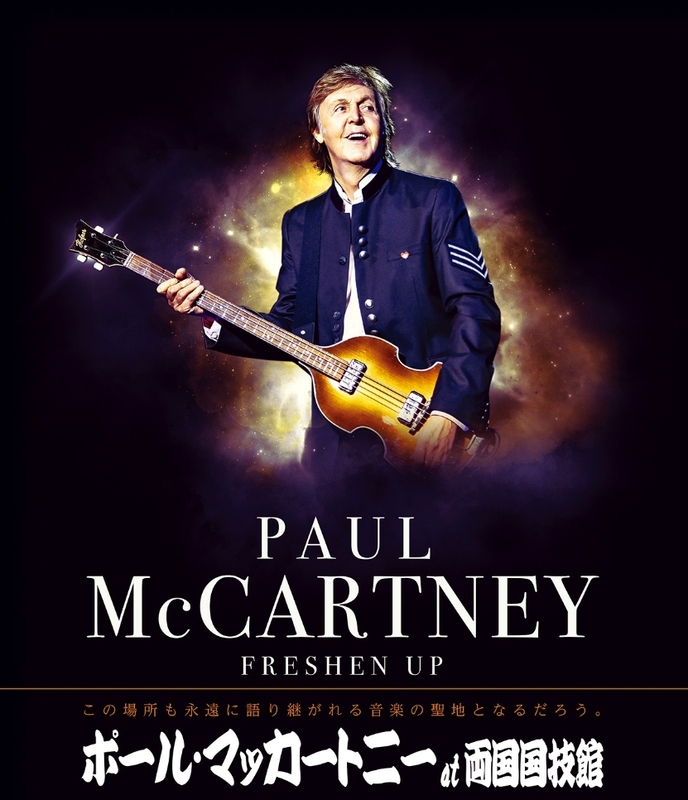 ‘Freshen Up’ began this month in Canada winning incredible reviews. In October the tour will head to the US for Paul’s headline performance at the 17th annual Austin City Limits festival. 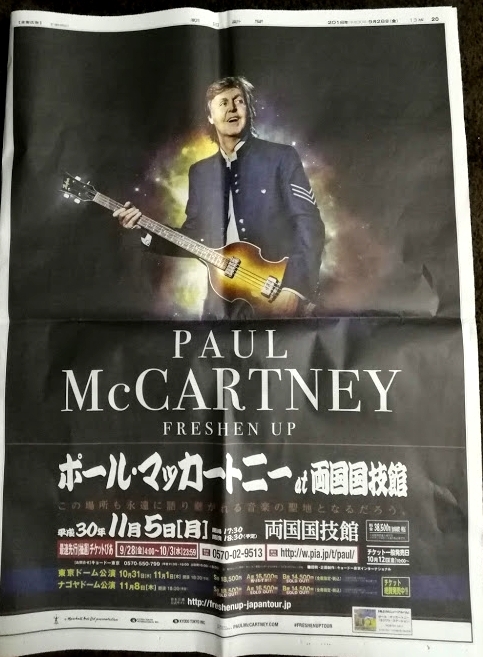 The launch of the tour coincided with Paul scoring his first ever debut Number One album in the American Billboard charts as well as topping the charts in many countries all over the world.